Summer is almost here, but going by Toowoomba’s recent weather patterns you would think it is here already. Buckets upon buckets of water are being poured into the gardens with very little help from the sky. Carting the buckets is great exercise but each week I am finding it harder and harder to lug the 30 odd buckets a day up to the gardens. 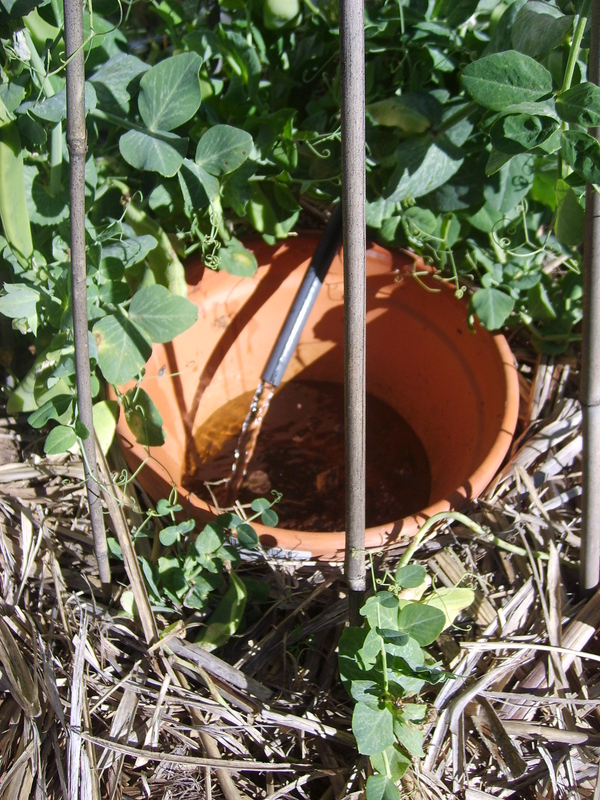 Drip irrigation is something I really want but it means I will need a pump. That in turn means I will need power and pipes hooked up. That means money. Something I am not to keen on spending at the moment. So I have been looking for alternative options. Inspiration hit me reading an article in the Nov/ Dec issue of Organic Gardening Magazine. 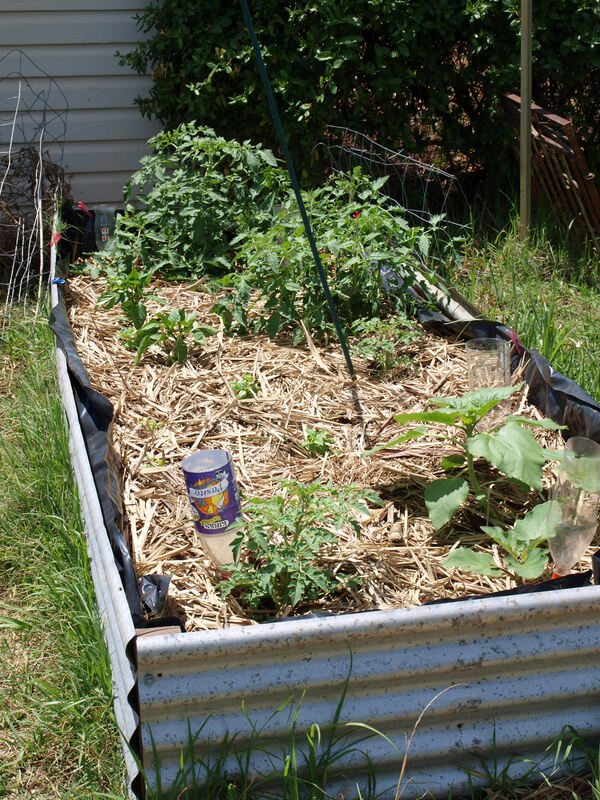 Called Gardening in Dry Times (on page 26) It explained about mulching, soil improvement and then Water Spikes. 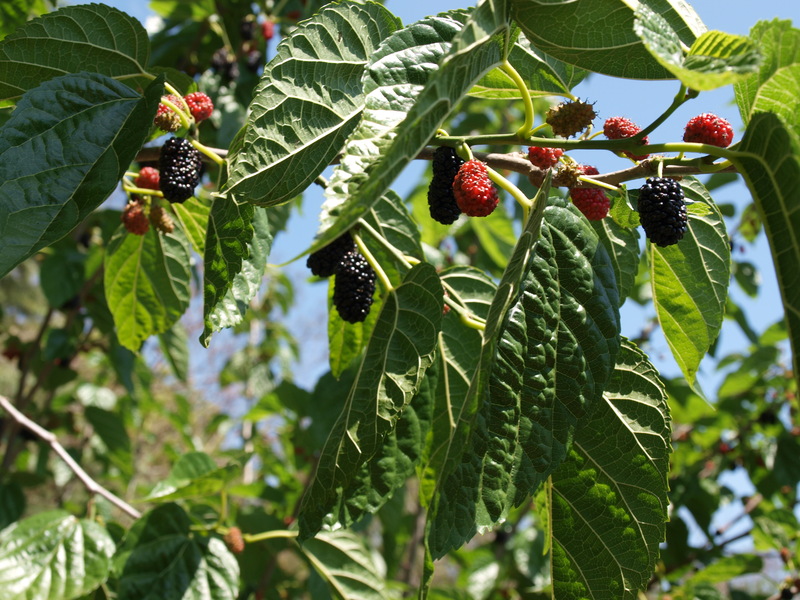 Having tried these in the past I scoffed as they did not water the plants slowly. Our greedy soil guzzles the water up in minutes not hours. But what is this about filling the spikes with sand first? *Cue trumpets and lights inspiration has hit her* I had to try this. Sand and spikes in place – heck it worked (I imagine there is many of you thinking ‘how did she not know this!’ I too am wondering the same thing). The water slowly over about half an hour emptied out! 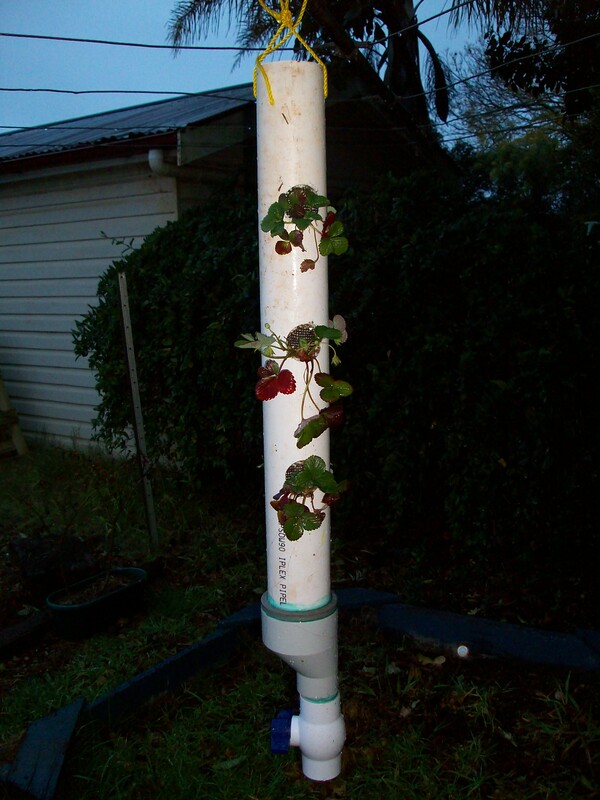 Now I can water in the evenings and not be as concerned about fungal diseases. Oh and save my back as I can use the hose to fill the containers! What would spring be without strawberries? 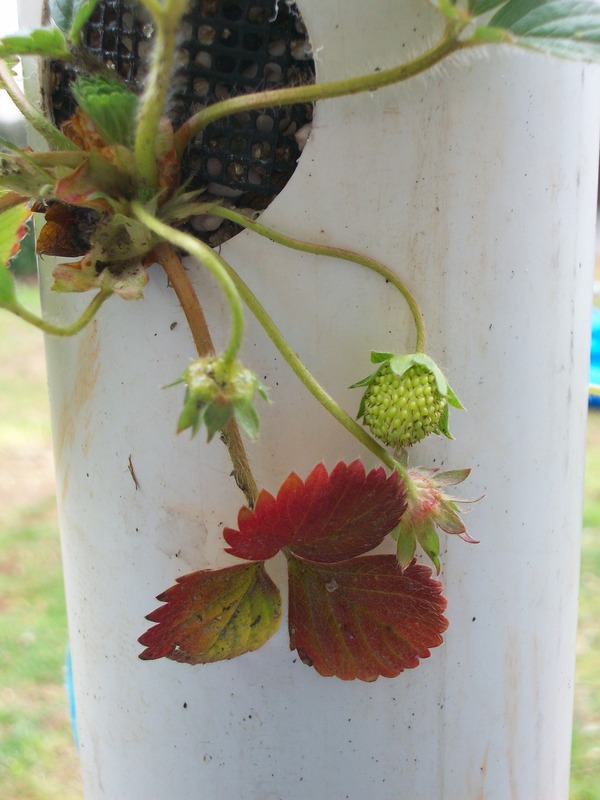 After many dismal attempts of growing strawberries in the ground I am trying a hydroponic method this year. It is a PVU pipe with an elborate drain and tap system. 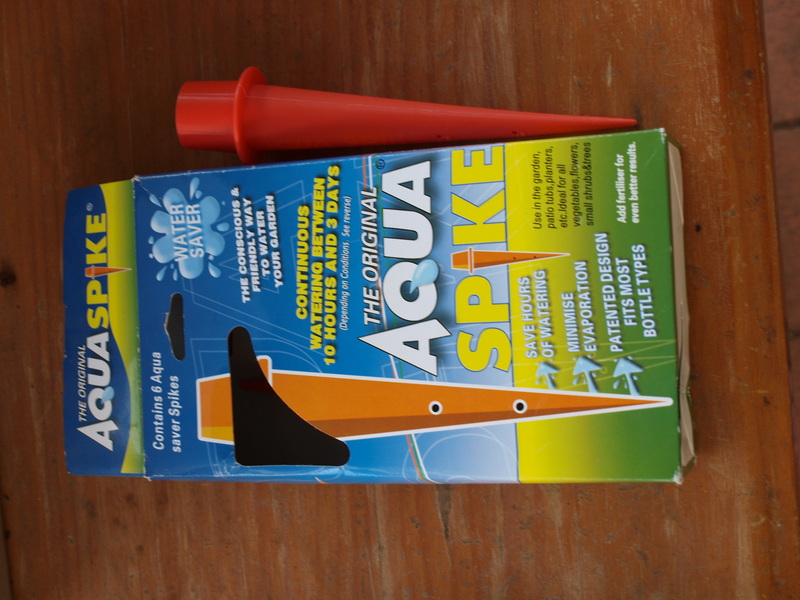 It is very hard to find a funnel with a tap attached to it… so this is what hubby managed to scrouge up from one of his suppliers they use through his work. 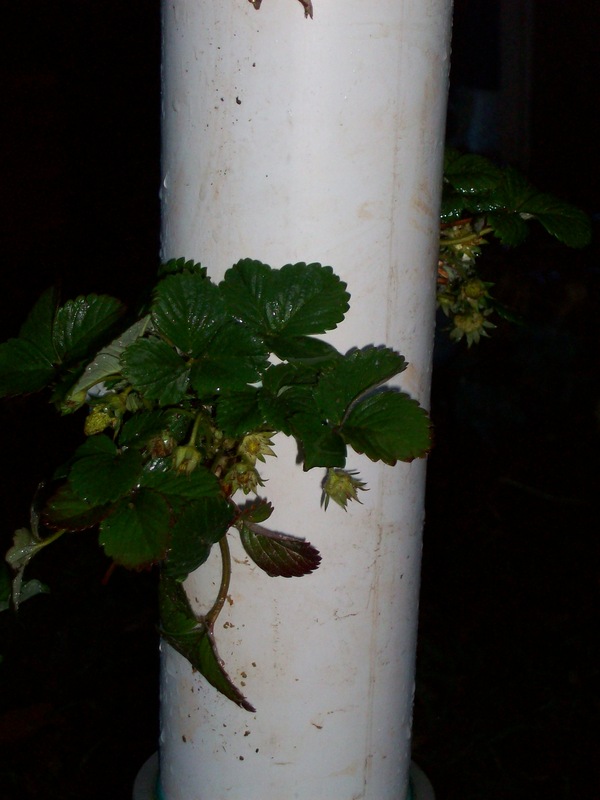 So far I have 2 towers built that hold six strawberry plants each. I have another two to build. I have hung them on the clothes line as it is a wasted space that is only used two or three times a week. They are filled with a equal mix of perlite and vermiculite and I am using the Ionic ‘bloom’ solution to feed them. In this weather I am only feeding them every second to third day as the tube is staying quite moist. Once summer is in full swing it will probably be once a day if not twice a day…. Avid Path to Freedom readers would have seen their wonderful Ollas. How I would love some of their earthy shaped ones however it would’nt be practical nor sustainable to ship them here from the states *sigh*. So what to do… I tried our local pot guy but they have never stocked them. So I decided to try normal terracotta pots…. 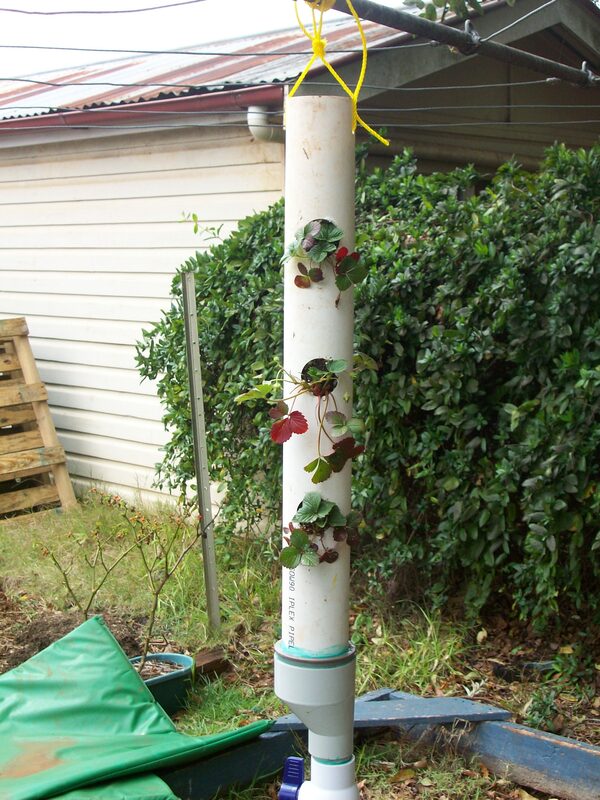 This is such a cheap and simple way to grow plants. 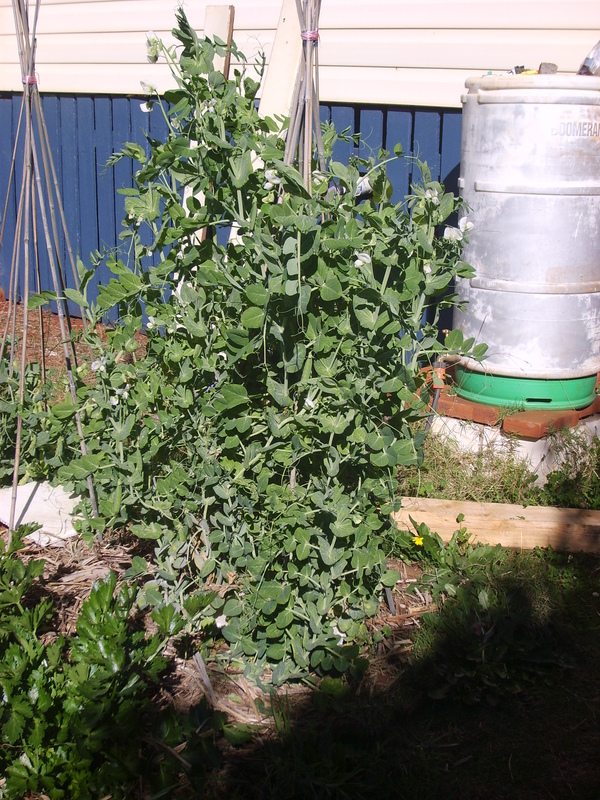 I fill my ‘Ollas’ about once a week in the dry weather, if it is raining, two or three weeks depending on your soil type. 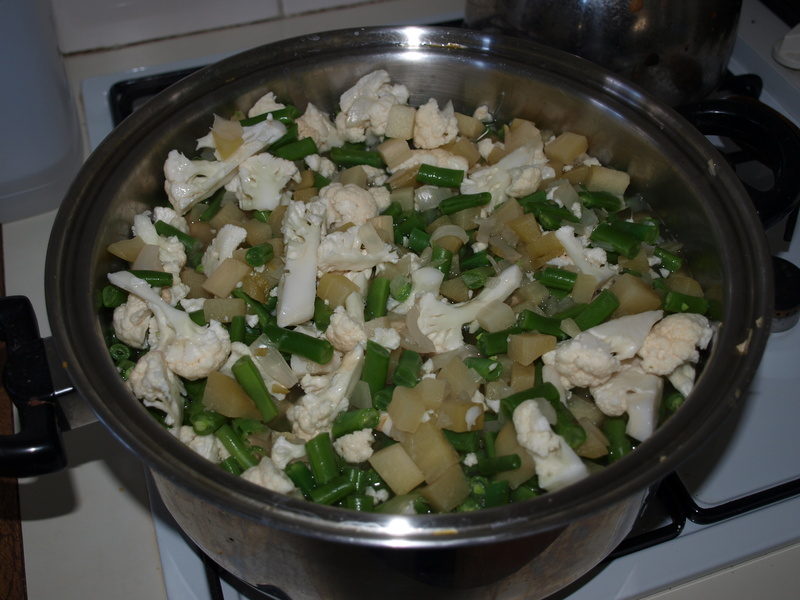 Celery loves the constant water, you can just see the pot in this one…. an old aluminium pot is a great cover.